With HPass, any humanitarian, whether they be a volunteer or an experienced field worker, will have the opportunity to have their current experience recognised throughout the sector. HPass is also an opportunity for learning and assessment providers to join a global platform, sign up to the sector-recognised standards and provide digital credentials for both learners completing their courses and people whose competencies are being assessed. HPass will also be accessible by humanitarian employers, who will be able to search for individuals by their skills and experience. This will increase the speed and efficiency of recruitment during an emergency or to meet ongoing operational needs. Bring learning and assessment providers into globally recognised humanitarian standards. 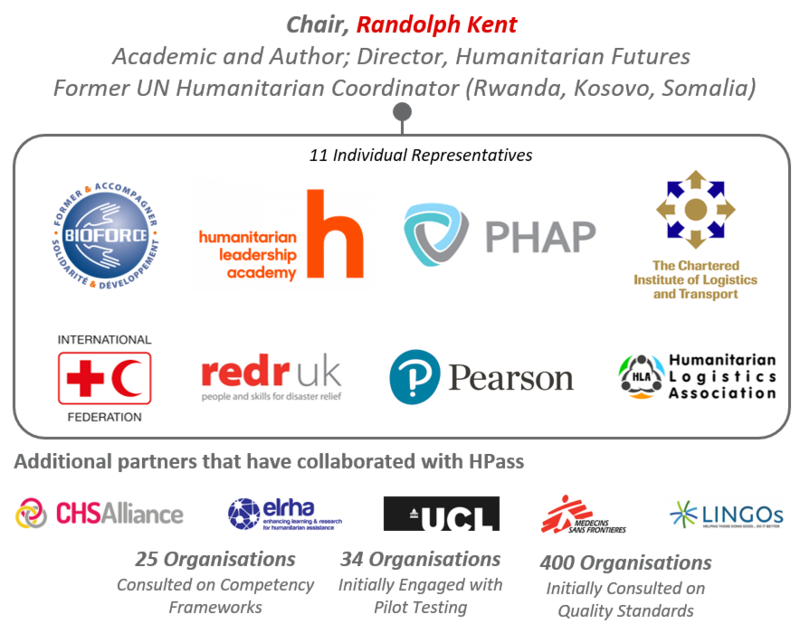 HPass is brought to you by a group of humanitarian organisations that are passionate about learning and ensuring that the sector grows and is recognised for its skills and experience. In all, 400 organisations were initially consulted on the sector-recognised standards and 25 organisations were consulted on competency frameworks. HPass piloted the service with 34 organisations in 2018 and is now working with a limited number of partners before wider rollout in late 2019. A steering committee currently manages the initiative, ensuring that sufficient progress is being achieved and facilitating partnerships with leading humanitarian organisations to ensure stakeholder and partner buy-in. The committee will govern HPass until it becomes independent.